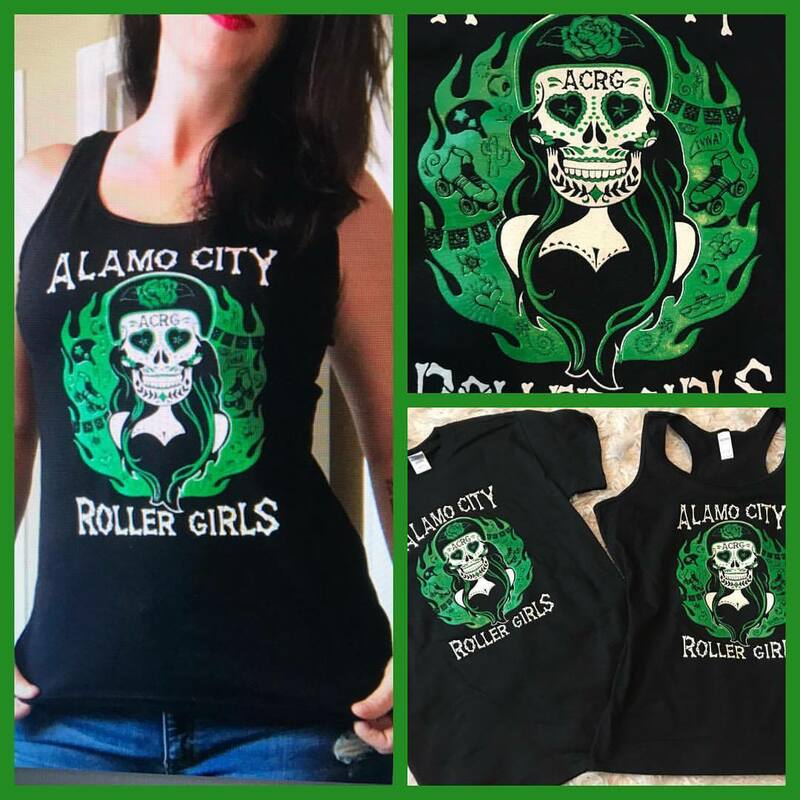 LOS ANGELES, CA–Terminal Cityâ€™s impressive on-track performance was surely what convinced Angel City to extend an invitation to them for this tournament at the Richmond playoffs, despite never having met on the track before. And while the score was uneven throughout, gameplay belied it, with Terminal City demonstrating time and again their signature star pass move (three successfully scoring passes in this game alone), taking strategic jammer-on-jammer engagement when trapped, remaining engaged and persistent in every jam. Each teamâ€™s penalties sat matched at 34 apiece by the end of the game, but Terminal proved to be plagued by multiplayer penalties, at 11 of their total. Terminal Cityâ€™s Swartzemegger deserves mention for remaining fast and determined throughout the game, especially given it was her first sanctioned play. This game was characterized by high intensity and speed jams, and as in the rest of the tournament, we saw constantly circulating and re-engaging pack play in clusters rather than lateral walls. The sheer solidity of Angel Cityâ€™s jammers really showed, with Terminal blockers actually felling themselves while trying to take out their opposing jammers. Final score went to Angel City, 271-97, only just pushing in Angel Cityâ€™s direction from Flat Track Statsâ€™ 21:8 point differential prediction. First jam began with Cris Dobbins in the star, quickly claiming lead jammer status to put up 5 unreplied points, with Terminalâ€™s Kim Janna hot on her heels. Chica Go Lightning then claimed second lead while Evada Peron, unable to make it through on her first two scoring passes, turned herself into a blocker and jammer-engaged an unruffled Chica. Terminal took first team time-out at Jam 10, with 18mins to go in the period, and their return added their first points, taking the board to 63-2. At this point, Terminal began to claim a number of leads, including a highlight: Evada Peron on a powerjam with lead pushing the score up 19 points for Terminal. But by half-time they hadnâ€™t managed to even the score, leaving it at 149-38, to Angel City. The second half opened to packs clustering and racing, with Angel City responsive to this play, but seeming to speed up their usually more defensive game play to speed-match for Terminal Cityâ€™s pace, even as they fastidiously filled in holes in walls, closing ranks against Terminal attacks. Several Terminal apex jumps were foiled by well-timed anticipatory blocking from Angel City. Final two minutes of the game, and Chica, in fine jamming form, leapt into lead, busily whipping up points and riding out the final seconds of the clock even as we saw another star pass from Janna to MacKenzie. Final score 271-97, for Angel City.